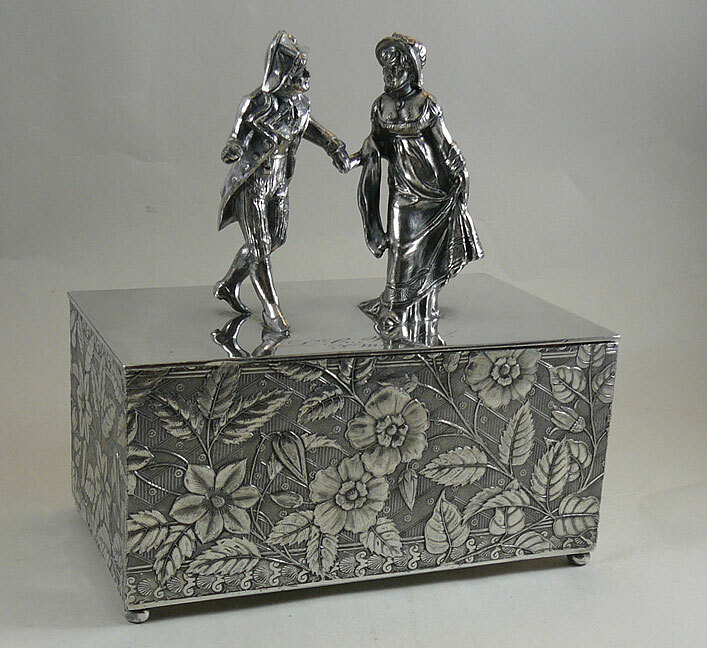 Cigar box, humidor,jewelry box, Meriden Silverplate co, two figures, 18th century dress. Total height 6 inches, length 5-3/4 inches, width 3-1/2 inches. 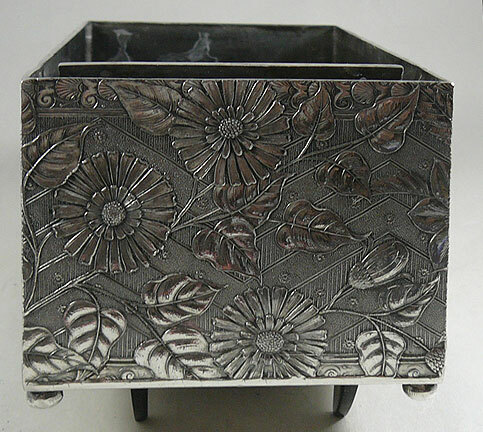 The box is decorated with flowers and leaves on a chevron background. 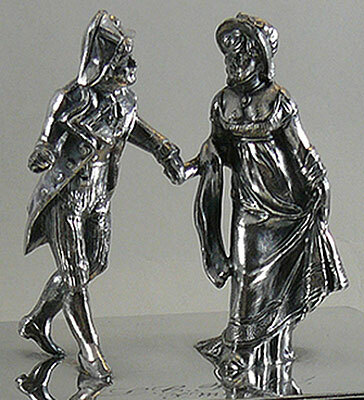 The two figures mounted on the lid are elegantly dressed, the man in striped breeches with a frock coat and cocked hat, the lady in the high waisted dress of the 1790-1800 period. 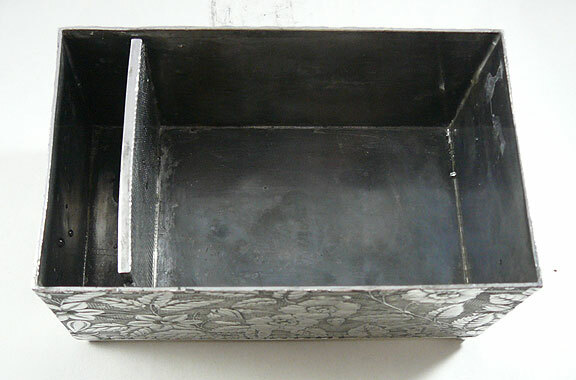 The interior fitted with a side compartment for a moist sponge. 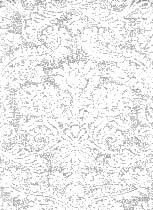 Illustrated in the company catalogue. Inscribed "LC Parke Xmas '87"